Face it: Gearheads get a kick out of rebellion. Sure, topping 120 on a race track straightaway is exhilarating, but there’s an extra thrill in knowing you’d get hauled to the station if anyone caught you doing the same thing on a mailbox-lined street. Targa Newfoundland lets motorists from all over the world capitalize on this feeling: For the last eight years, this weeklong, 1375-mile tarmac rally has led competitors through the forests, suburbs, fishing villages and coastal routes of its namesake Canadian province—and it all takes place on public roads. Keith Tanner from Flyin’ Miata and his wife, Janel, had never competed in a rally before. They only had a fair bit of autocrossing and track day time between them. However, the event had long called to Keith, and he decided to build the perfect Targa machine to compete in the race. 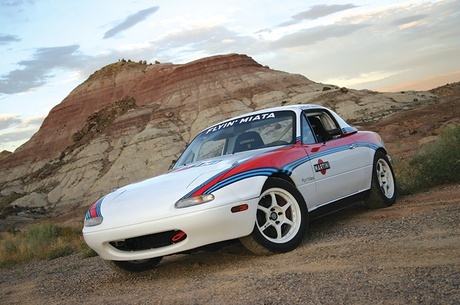 Complete with scrubbed-in Toyo RA-1s, a stiff chassis, light weight and responsive handling, his race-prepped 1994 Miata offered a pure and lively driving experience—a consistent package that was perfect for the unpredictable conditions of the Targa rally. With their roles worked out—Keith would drive, Janel would navigate—the pair dove in and began preparing for the event. 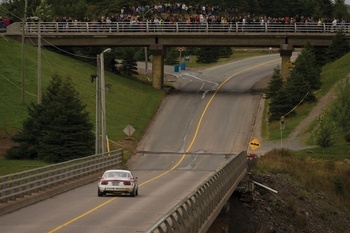 Targa competitors raced on closed public roads through towns and villages, and Newfoundlanders came out in droves to cheer them on. 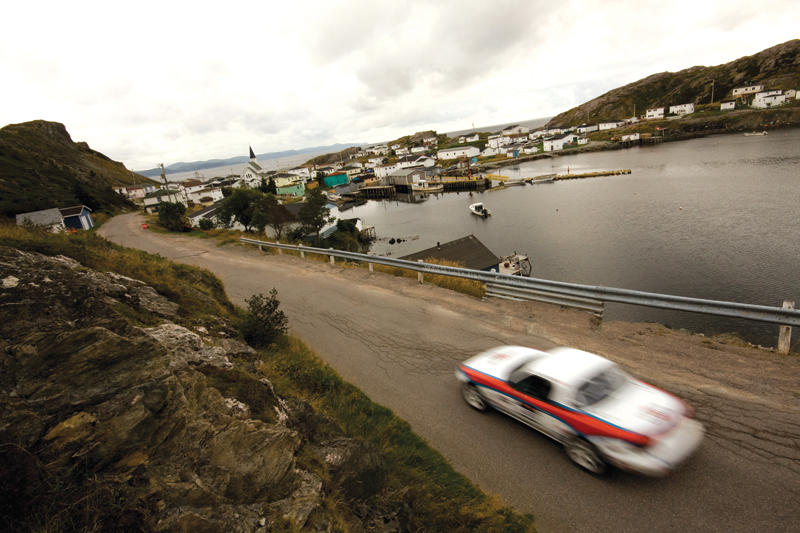 The Targa Newfoundland is divided into 44 stages, and officials decide how long it should take to finish each one. If you finish a stage in time, you safely “zero” it; if you’re late, you start racking up penalty points—one for every extra second you take. The allotted stage times become more and more aggressive as the race goes on, and it’s nearly impossible to make it through the whole rally without a penalty. 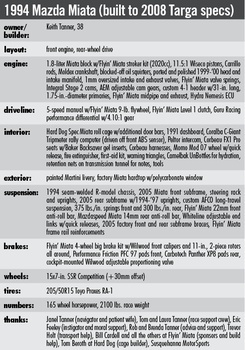 The event classes cars by age, then further by engine size (small or large) and specification (stock, improved or modified). The Tanners landed in the Late Model, Modified Small class, which most notably forbids adding forced induction to cars not equipped that way from the factory. While Keith and Janel studied the rules and preparation limits intensely, they still needed to learn how to rally. 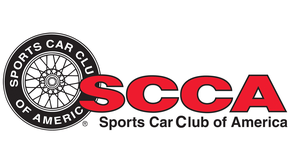 The California Rally Series school taught them the basics, while a Colorado TSD rally gave them some valuable practice as a driver/navigator team. They also analyzed video footage of the Targa, and Keith attended as many track days as he could before the event. “I took odd lines through corners and drove over berms to simulate driving hundreds of unknown corners,” Keith explains. The Colorado couple towed their Miata 3200 miles to Nova Scotia, then took an 18-hour ferry ride to the Newfoundland rally location for the 2008 event. After breezing through tech, they ran the odometer calibration route to make sure their rally computer and the rally route book had the same concept of a single kilometer. Their race officially started the next morning. A Prologue stage allowed drivers and timing crews to acclimate to the rally atmosphere, and after a jittery start, Keith and Janel established a steady race pace. They managed to zero the stage without crashing. Others weren’t so lucky. “The potential for catastrophe was brought home to us on the second stage,” Keith says. A classic Mini had barreled into a ditch, and Keith and Janel were the second team on the scene. “Once the ambulance and fire teams showed up to cut the car apart and extract the navigator, we headed out on the stage at a slow pace,” Keith explains. “Quite a sobering sight to see on the first day, no question.” The couple would see two more cars claimed by ditches during their rally experience. 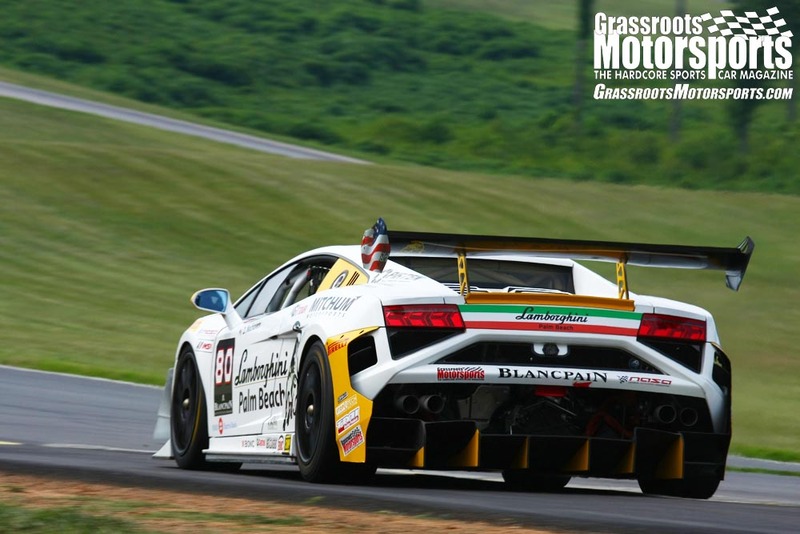 They wrapped up day one in 13th overall with two penalty points. The rally paused for lunch each day, and the locals were enthusiastically involved in the meal preparations. “It was as if every grandmother within driving distance had been challenged to a dessert contest, and we were the judges,” Keith recalls. At night, the cars gathered in the same hockey and curling rink for an extremely varied car show—Mitsubishis and old Corvettes rubbed elbows with a vintage Camaro and a bright green Challenger. Keith Tanner, with help from his partners at Flyin’ Miata, crafted this Miata to handle Targa Newfoundland’s unpredictable conditions. Visit targamiata.com for a highly detailed account of the build. As the rest of the days unraveled, Keith and Janel gained confidence and became a well-oiled machine. The base times grew progressively harder, but Janel became better able to articulate driving instructions—and Keith became more comfortable with trusting them. While the duo accumulated their share of penalty points, they were starting to get the hang of it. Driver and navigator fatigue started to settle in by day three, but the pair pressed on through the fence-lined, single-lane roads of days four and five. The final day led competitors on a high-speed forest run, then through the charming village of Brigus, and finally along a route with a spectacular coastal view. “It was a microcosm of the whole rally,” Keith notes. Keith and Janel finished 16th overall—not bad for first-time participants. They forged bonds with the locals, their competitors and each other. And they’re looking forward to going back. Friends warned Janel and Keith Tanner that facing such a high-stress situation while cooped up in a Miata could destroy their marriage, but the couple found the Targa to have the opposite effect. 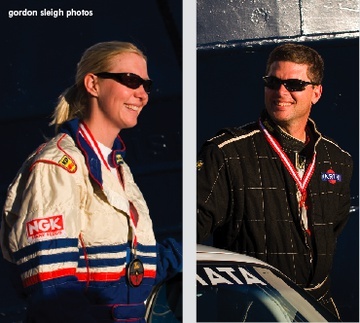 Keith Tanner of Flyin’ Miata successfully completed a weeklong Canadian performance rally; his wife, Janel, served as navigator. While the duo had some reservations about their first rally competition, the Targa turned out to be a highly rewarding experience. A lot of people thought Janel and I were nuts running the Targa as a husband and wife. They thought we were going kill each other and then get a divorce. It turned out to be just the opposite sort of experience. You see, you can drive pretty quickly down a road you’ve never seen before if you concentrate. You can drive even faster if that road is closed. But that’s nothing compared to what you can do if you have a voice whispering in your ear about what the road’s going to do up ahead. I called Janel my “guardian angel.” She seemed to read my mind, telling me just what I needed to know. If she told me to keep my foot pinned over a blind crest at 100 mph, I’d do it. If there was a drop on the inside of a corner, she’d tell me. By the second day, we had complete trust in each other; I knew she’d give me the information I needed, and she knew I’d listen and not go screaming off the road into the ocean. It was thrilling and an incredible bonding experience. The two of us gelled and were able to accomplish things we never would have been able to do alone. The driving, of course, was everything you’d expect: fast, tricky roads through the back woods; tight stages through small fishing towns; a rampage through a generic subdivision. At one point, we passed a 30 kph speed limit sign doing 150 kph—and the locals were standing on their lawns cheering. Overpasses were lined with spectators. It’s not hard to imagine just how completely awesome this all is, but what we didn’t expect was the people. Entire villages were shut down for the race. When this happened, the locals welcomed us with open arms. At every stop, the cars were mobbed by kids looking for autographs and pictures. Hey, kids dig race cars. The schools shut down because nobody would show up anyhow. Lunch was served by local ladies in whatever large space was available. So you’ve got the itch to try your first performance rally. Keith Tanner shares a checklist to help you make sure everything goes smoothly. 1. Read the Rule Book. Seriously. Nobody wants to spend the first day running around trying to find a tow strap or mounting the first-aid kit in a better place. 2. Know Your Car. You’re going to have enough things to deal with during your rally—don’t let your vehicle be one of them. Spend some time at track days experimenting with weird lines and provoking your car. 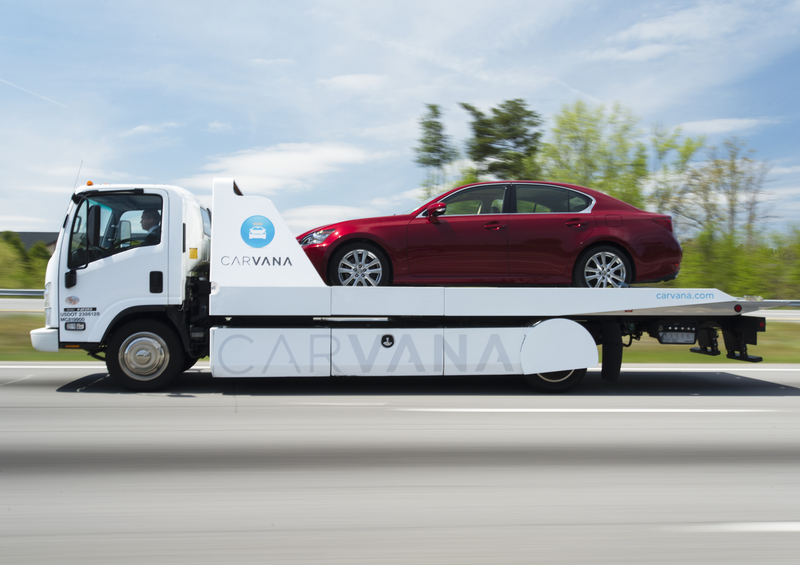 You don’t want any handling quirks to surprise you. 3. Study Together. The job of the navigator is to paint a clear and unambiguous picture of the road ahead in the driver’s mind. If you both go over the pace notes before a stage, you can agree on how to call some of the corners. This can help the driver get a preview of what to expect, and understand any particularly unusual instructions ahead of time. 5. Take Care of Yourself. A rally is a long race. Don’t show up to the event exhausted—if you can help it. A stash of energy bars and snacks along with easily accessed water can keep the crew at top performance throughout the competition. The Camelbaks mounted behind our seats were a lifesaver. We also had little plastic tubes full of honey that provided quick pickups and soothed raw throats. 6. Do a TSD Rally. No, it’s not the same as a performance rally, but a TSD rally will give you a chance to practice all sorts of things—from in-car communication to how to run the rally computer without getting too distracted. If it’s a long TSD, you may also learn new information about your car, such as how comfortable the seats are for an extended period. 7. Make Friends. Rally teams are a friendly bunch. Plus, you’re mostly competing against the clock, not each other. 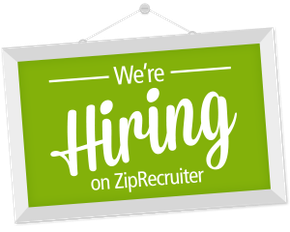 Talk to the more experienced teams and pick their brains. On the Targa, we were taken in by previous winners Jim Kenzie and Brian Bourbonniere; they gave us all sorts of helpful tips and acted as cheerleaders after each stage. Everyone wants to see every team finish the race. 8. Trust Each Other. For the navigator, this means don’t try to drive the car. Don’t look up and judge braking points or evaluate lines; just give your instructions and let the driver decide what to do with them. For the driver, this means believe what the navigator tells you. If the two of you are second-guessing each other, you’ll never gel as a team. 9. For the Navigator: Don’t Look Up. It’s easy to call a note, then look up to see how it works out. On a busy stage, this will get you lost in a hurry. Plus, the extra head movement makes it more likely you’ll get woozy. 10. For the Driver: Finish the Race. A performance rally requires a balance of care and aggression. You have to go quickly, of course, but a single mistake can mean the end of your rally and a long tow home. It’s your first rally, so finishing will be a big enough accomplishment. You can win the next one.